Over the past few years we’ve been running a series of workshops at conferences, events, local government meetings and with advocacy groups to try and find out what rights people with learning disabilities want in their day-to-day lives. 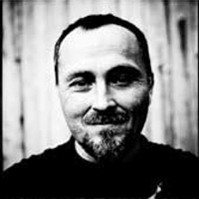 This led us to create our new Magna Carta. Why call it ‘New Magna Carta’? We realise that using Latin isn’t probably the most accessible thing to do but there is a point to this. Last year we were celebrating 800 years of Magna Carta which formed the basis for democracy in the UK. 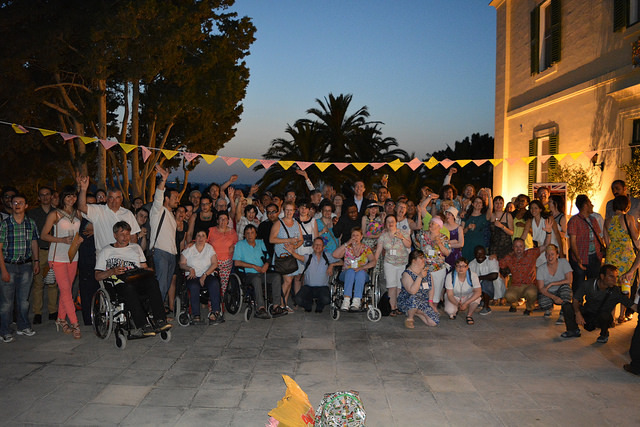 On the weekend of the celebrations we were in Malta celebrating the completion of ART-is a project involving various European arts organisations who support artists with learning disabilities. By a fortunate set of conversations we’d managed to organise our own celebration of Magna Carta with a tea party in the garden of the British High Commissioner to Malta. We used this as an opportunity for us all to reflect on the freedoms that people with disabilities enjoy, but also to think about the rights that they still find hard to exercise. That evening we created a huge string of bunting with all these written on them. Group photo of ART-is partners in the British High Commission’s garden in Malta under the bunting we created. So here’s what we found from all the workshops we’ve been running and it’s actually not that complicated. We’d love to hear your views on this and whether you think there’s anything else that needs thinking about. Quite often people say they want to lead a ‘normal’ life but I’m never sure what the word ‘normal’ means. (There’s people in my family who I couldn’t describe as ‘normal’ in many ways!). As I was thinking about the Magna Carta I was thinking it’s just about supporting people with learning disabilities to lead ordinary or regular lives. Last week I was at an event where I was challenged to come up with an image that depicts our work and after much thought I came up with the most ordinary thing I could possible think of. 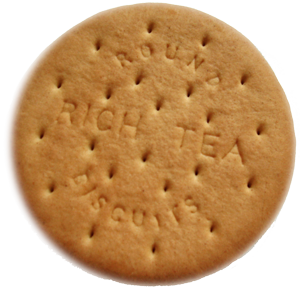 A ‘Rich Tea’ biscuit. We’re not trying to do anything spectacular (like a chocolate Hob Nob) we’re just trying to support people to do ordinary stuff that many of us take for granted.